Our babies grow so fast! 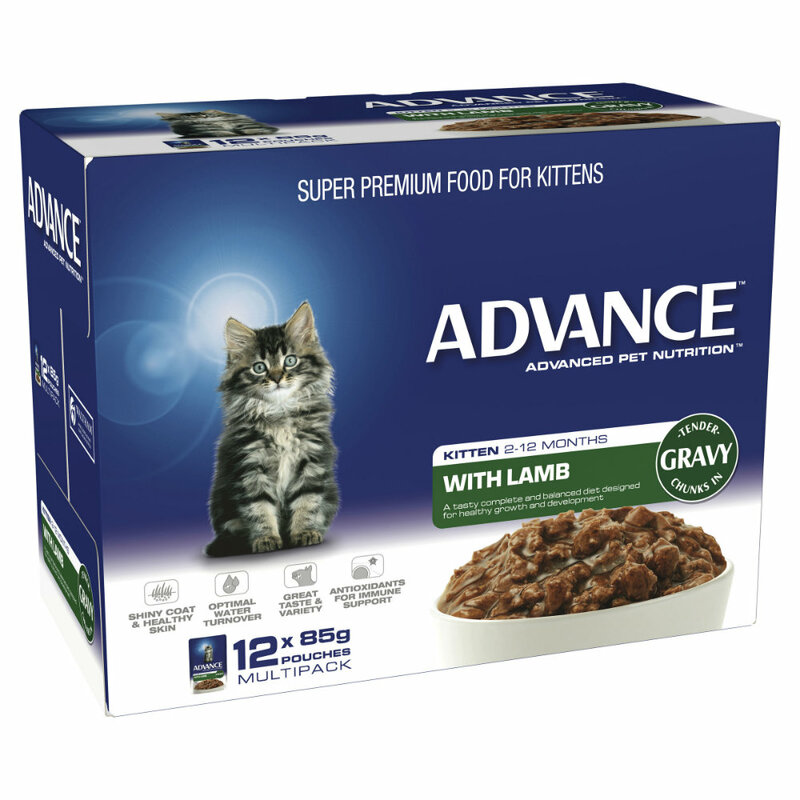 Your tiny, cuddly fur ball of a kitten will be an independent adult cat before you know it, so set them up for healthy growth with Advance Kitten Lamb in Gravy. 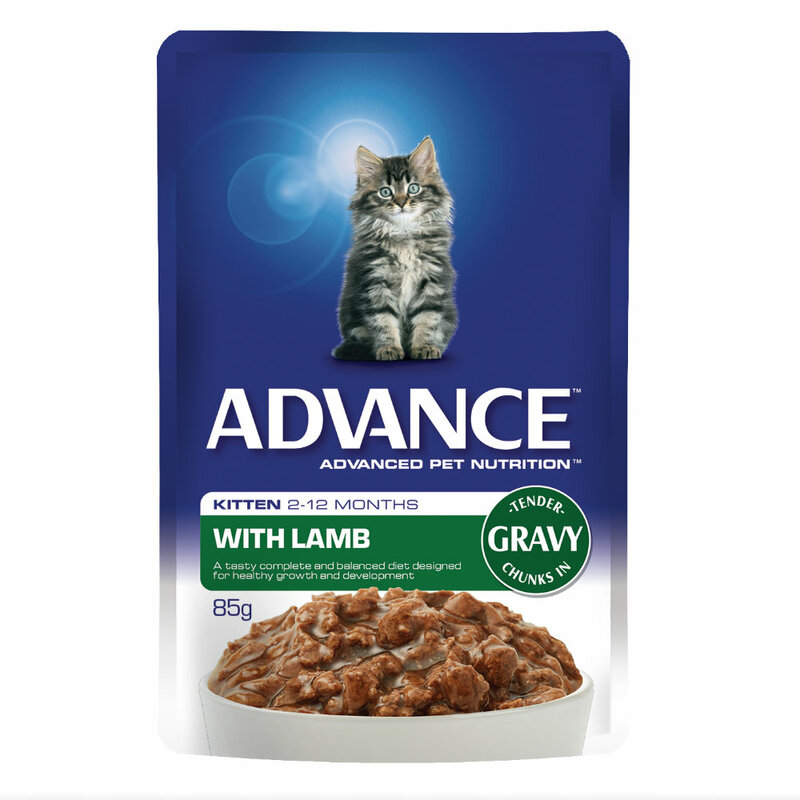 Formulated with delicious lamb in gravy, this recipe is not only tasty but perfect for your growing kitty. Designed to promote healthy digestion, with a specific amount of high quality protein and calcium to support optimal growth, and is fortified with DHA for healthy brain development. Meat derived from chicken, lamb, beef, binder (beef and/or pork), gelling agents, vegetable oil, flavours, all essential vitamins and minerals, colours, antioxidents, taurine.